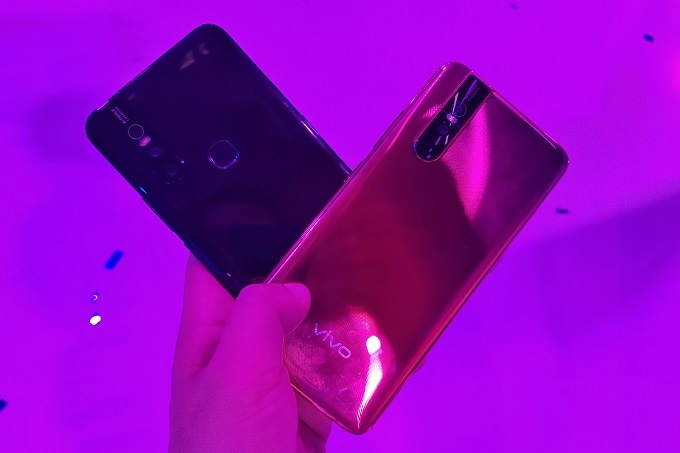 Vivo V15 and Vivo V15 Pro debut in the country with "Notch-less" display and motorized pop-up camera. 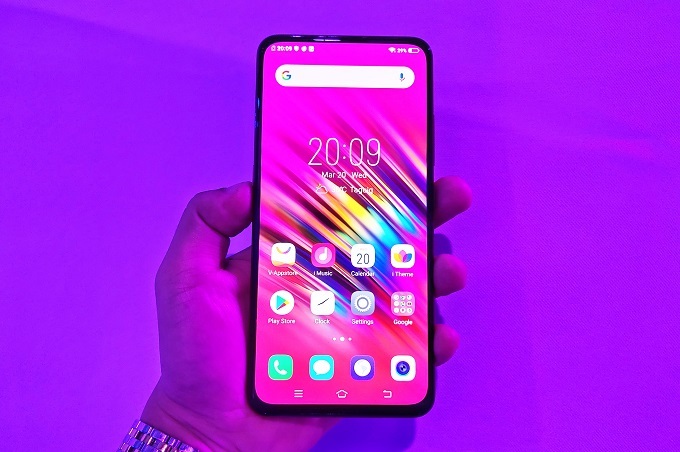 The Vivo V15 Pro has been officially unveiled in the Philippines. 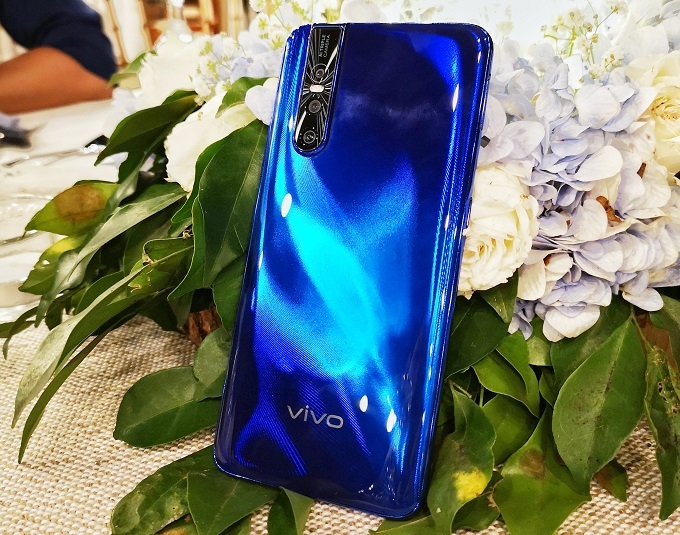 The company's flagship smartphone series also includes the trimmed-down version, the Vivo V15. Both the Vivo V15 and the Vivo V15 Pro highlight the elevating 32MP camera that we have seen from the Vivo NEX smartphone. The Vivo V15 Pro is also the first handset in the country to feature the Snapdragon 675 SoC. The handset boasts the "notch-less" design that frames a whopping 91.64% screen-to-body ratio, this is achieved by putting the ambient light sensor behind the display and, of course, the pop-up front camera. This 6.39-inch screen packs a Super AMOLED "Ultra FullView" panel and 403 ppi density. When it comes to specifics, the Vivo V15 Pro only has a razor-thin 1.75-mm and 2.2-mm bezel which complements its 19.5:9 Aspect Ratio. On the other hand, the standard Vivo V15 is powered by the MediaTek Helio P70 chipset. It also comes with a notch-less design; however, it features an LCD panel instead of an OLED display. Its screen is slightly wider at 6.53-inch and is confirmed to have a Gorilla Glass 5 coating. Due to its taller dimensions, the Vivo V15 packs 90.65% screen-to-body ratio. 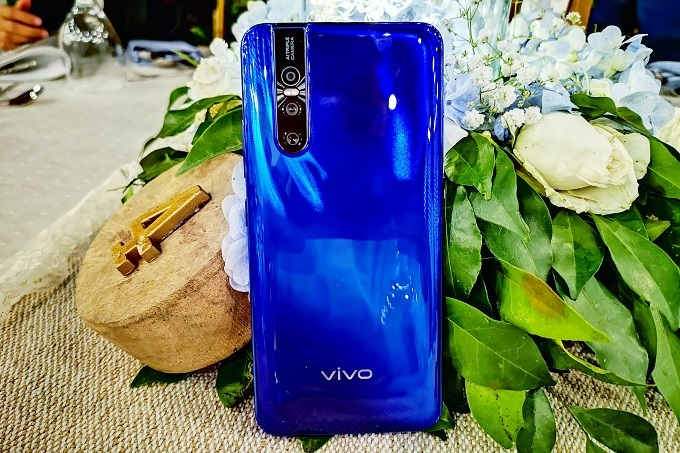 When it comes to optics, Vivo gives the spotlight to the four-in-one pixel main camera which combines four pixels into one large pixel to achieve the 48MP pixel sensor. The rear camera also features an 8MP AI Super Wide-Angle camera and the 5MP depth-sensing camera. One very intuitive feature is the Wide Angle camera that can expand field-of-view to 120-degrees to capture more landscapes and people. Under the hood, both variants pack up to 128GB of storage. 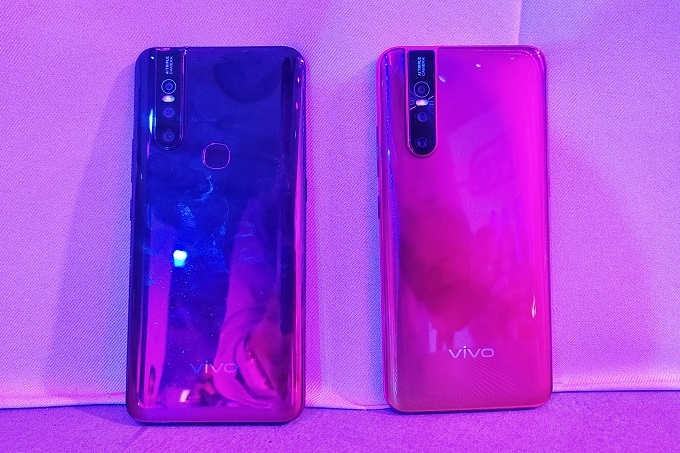 The standard Vivo V15 is stuffed with 6GB of RAM while the Vivo V15 Pro crams an 8GB of RAM in its hardware. The Vivo V15 Pro features the 5th generation In-display fingerprint scanning technology which has been pioneered by the company. This new version comes with a slightly packed "fingerprint" pixel density and more sophisticated algorithms that allows faster unlocking and security feature. The Vivo V15, on the other hand, has a regular physical fingerprint sensor mounted at the back of the phone. Both handsets tick with the latest version of FunTouch OS on top of Android 9.0 Pie. Software gaming features like Game Mode 5.0, Competition Mode, and the Dual-Turbo allow better gaming experience. Jovi is now accessible if you double click the dedicated left side button. Of course, the AI Face Beauty does the trick when it comes to camera beautification. The Vivo V15 Pro is priced at Php 23,999 while the standard Vivo V15 is only priced at Php 17,999. Customers who'll pre-order the handset on March 21 to 29 will get an NBA Premium Gift set comprised of a Bluetooth Speaker and a premium NBA case. You can also score a JBL Clip 3 portable Bluetooth speaker if you pre-order from March 21 to April 11. If you do an advance order, you'll get a 6-month extended phone warranty and a 6-month screen protection warranty.